Xamax Consultancy Pty Ltd, Canberra, Australia Australian National University, Canberra, Australia University of N.S.W., Sydney, Australia Xamax Consultancy Pty Ltd, 78 Sidaway St, Chapman ACT 2611, Australia Roger.Clarke@xamax.com.au. This is the second article in a series on 'Responsible AI', in CLSR. The first article in this series examined why the world wants controls over Artificial Intelligence (AI). This second article discusses hHow can an organisation can manage AI responsibly, in order to protect its own interests, but also those of its stakeholders and society as a whole.? A review of the contributions ofA limited amount of guidance is provided by ethical analysis extracts limited value. The mostA much more effective approach for organisations to take is to apply adapted forms of the established techniques of risk assessment and risk management. Critically, risk assessment needs to be undertaken not only with the organisation's own interests in focus, but also from the perspectives of other stakeholders. To underpin this new form of business process, a set of Principles for Responsible AI is presented, consolidating proposals put forward by a diverse collection of over two dozen30 organisations. Proponents of Artificial Intelligence (AI) claim that it offers considerable promise, and some forms of it have indeed delivered value. On the other hand, the power inherent in AI naturally harbours substantial threats. The first round of threats afflicts the organisations that develop and deploy AI-based artefacts and systems. The second round of threats impacts upon the many categories of stakeholders that are involved in and or are otherwise affected by the undertaking. To the extent that the experiences of those Where stakeholders are negativeaggrieved, and that the stakeholders have sufficient power, a third round of threatstheir negative feedback affects the AI-originating organisations, particularly those that have direct associations with stakeholders, but also those further up the industry supply-chain. This article adopts the position that it is in the interests of all organisations to avoid their stakeholders suffering harm, and thereby learning to distrust AI and oppose its use. For this to be achieved, organisations need to adopt responsible approaches to AI from the outset. This depends on the inculcation of appropriate culture within the organisation, and the establishment and operation of business processes whose purpose is to detect risk, and manage it. Thise article first considers whether business ethics may offers useful insights. A much more useful approach, however, is argued to be through risk assessment and risk management processes. These have traditionally had their focus on the interests of the organisation undertaking the study. Given the impactful nature of AI, this article proposes expansion of risk assessment and risk management in order to encompass not only the organisation's interests but also the stakeholders' perspectives of the various stakeholders. The final section draws on a diverse set of sources in order to propose a set of principles for the responsible application of AI, which are sufficiently specific to guide organisations' business processes. Ethics is a branch of philosophy concerned with concepts of right and wrong conduct. Fieser (1995) and Pagallo (2016) distinguish 'meta-ethics', which is concerned with the language, origins, justifications and sources of ethics, from 'normative ethics', which formulates generic norms or standards, and 'applied ethics', which endeavours to operationalise norms in particular contexts. From the viewpoint of instrumentalists in business and government, the field of ethics evidences several substantial deficiencies. The first is that there is no authority, or at least no uncontestable authority, for any particular formulation of norms, and hence every proposition is subject to debate. Further, as a form of philosophical endeavour, ethics embodies every complexity and contradiction that smart people can dream up. Moreover, few formulations by philosophers ever reach even close to operational guidance, and hence the sources enable prevarication and provide endless excuses for inaction. The inevitable result is that ethical discussions seldom have much influence on real-world behaviour. Ethics is an intellectually stimulating topic for the dinner-table, and graces ex post facto reviews of disasters. However, the notion of 'ethics by design' is even more empty than the 'privacy by design' meme. To an instrumentalist - who wants to get things done - ethics diversions are worse than a time-waster; they're a barrier to progress. The periodically fashionable topic of 'business ethics' naturally inherits the vagueness of ethics generally (Donaldson & Dunfee 1994, Joyner & Payne 2002). Despite many years of discussion, the absence of any source of authoritative principles results in difficulties structuring concrete guidance for organisations in any of the many areas in which ethical issues are thought to arise. Far less does 'business ethics' assist in relation to complex and opaque digital technologies. Clarke (2018b) consolidates a collection of attempts toapplications formulate of general ethical principles that may have applicability in technology-rich contexts - including bio-medicine, surveillance and information technology. Remarkably, none of them contains any explicit reference to identifying relevant stakeholders. However, a number of norms are apparent in multiple of the documents. These include demonstrated effectiveness and benefits, justification of disbenefits, mitigation of disbenefits, proportionality of negative impacts, supervision (including safeguards, controls and audit), and recourse (including such as complaints and appeals channels, redress, sanctions, and enforcement powers and resources). These norms will be re-visited in the final section of this article. The related notion of Corporate Social Responsibility (CSR), which is sometimes extended to include an Environmental aspect, can be argued to have an ethical base (Carroll 1999). CSR can extend beyond the direct interests of the organisation to include philanthropic contributions to individuals, community, society or the environment. In practice, however, its primary focus appears to most commonly be on the extraction of strategic advantage or public relations gains from organisations' required investments in regulatory compliance and their philanthropic activities (Porter & Kramer 2006). The potential value ofAlthough CSR and other aspects of the field of 'business ethics' have potential and CSR as a basis for establishing responsible approaches to AI, their effectiveness is constrained by the legal obligations imposed on company directors. Directors are required to act in the best interests of each company of which they are a director. Attention to broad ethical questions is extraneous to, and even in conflict with, that requirement, except where a business case indicates sufficient benefits to the organisation from taking a socially or environmentally responsible approach. In standard texts, for example, stakeholders are mentioned only as a factor in interpreting the director's duty to promote the success of the company (e.g. Keay 2016). Guidance published by corporate regulators, directors' associations and major law firms generally omits mention of either ethics or social responsibility. Even developments in case law are at best only very slowly providing scope for directors to give meaningful consideration to stakeholders' interests (Marshall & Ramsay 2009). There are secondary, or collateral, ways in which benefits can accrue to Sstakeholders, through may benefit from organisations' compliance with regulatory requirements, and the compliance with regulatory requirements, and from their management of corporate reputation and of relationships with stakeholdersand organisational reputation. The categories of stakeholders that are most likely to have sufficient power to attract attention are large customer ands, suppliers, and employees, but t. The scope might, however, extend to smaller customers, and to communities and economies on which the company has a degree of dependence. But this represents a slim basis on which to build a mechanism to achieve responsible AI. The remainder of this article pursues more practical avenues. It assumes that organisations, when evaluating considering AI, begin by applying environmental scanning and marketing techniques in order to identify opportunities. , andThey then use a business case approach to estimating evaluate the strategic, market-share, revenue, cost and profit benefits that the opportunities appear to offer. The focus here is on how the downsides can be identified, evaluated and managed. Given the considerable investment that each organisation appear to offer them. The focus here is on how the downsides can be identified, evaluated and managed. Given the considerable investment that each organisation has in its culture, policies and procedures, it is desirable to align the approach as closely as practicable toso as to fit comfortably within or alongside the organisation's existing business processes. This section commences by briefly reviewing the conventional approach to the assessment and management of organisational risks. In order to address the risks that confront stakeholders, I contend that this framework must be extended. Beyond merely identifying stakeholders, the organisation needs to perform risk assessment and management from their perspectives. The second and third sub-sections accordingly consider stakeholder risk assessment and multi-stakeholder risk management. There are many sources of guidance in relation to organisational risk assessment and management. The techniques are particularly well-developed in the context of the security of IT assets and digital data, although the language and the approaches vary considerably among the many sources (most usefully: Firesmith 2004, ISO 2005, ISO 2008, NIST 2012, ENISA 2016, ISM 2017). For the present purpose, a model is adopted that is summarised in Appendix 1 of Clarke (2015). See Figure 1. The conventional approach to risk assessment and risk management process is outlined in Table 1. Relevant organisational assets are identified, and an analysis is undertaken of the various forms of harm that could arise to those assets as a result of threats impinging on or actively exploiting vulnerabilities, and giving rise to threatening incidents. Existing safeguards are taken into account, in order to guide the development of a strategy and plan to refine and extend the safeguards. A and thereby provide a degree of protection is sought that is judged to suitably balance modest actual costs against potentially much higher but contingent costs. The initial, analysis phase provides the information needed for the strategy, design and planning processes whereby existing safeguards are adapted or replaced and new safeguards conceived and implemented. ISO standard 27005 (2008, pp.20-24) discusses four options for what it refers to as 'risk treatment': risk modification, risk retention, risk avoidance and risk sharing. Table 2 presents a framework that in my experience is more understandable by practitioners and more readily usable as a basis for identifying possible safeguards. Conventional approaches to risk assessment and management adopt the perspective of the organisation. 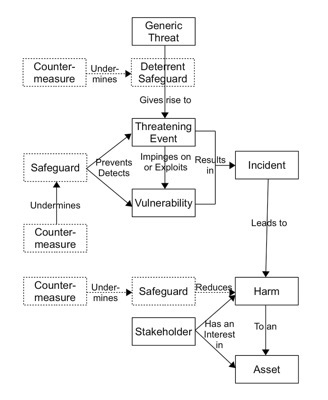 The process identifies stakeholders, but their interests are reflected only to the extent that harm to them may result in material harm to the organisation. The focus of this article is on responsible behaviour by organisations in relation to the development and deployment of AI. As discussed in the previous article, AI is potentially highly impactful. Organisations accordingly need to invest much more effort into understanding and addressing the risks faced by their stakeholders. The term 'stakeholders' was coined, as a counterpoint to 'shareholders', in order to bring those the interests of other parties' interests into focus (Freeman & Reed 1983). In IT contexts, users of information systems have long been recognised as stakeholders, commencing inSince the 1970s with, employees have been users of the organisation's information systems. As inter-organisational and extra-organisational systems matured, IT services now extended beyond organisations' boundaries, and hence many suppliers and customers may beare now users as well. The categories notion of 'stakeholders' are is broader than just users, however. It, comprisesing not only "participants in the information systems development process" but also "any other individuals, groups or organizations whose actions can influence or be influenced by the development and use of the system whether directly or indirectly" (Pouloudi & Whitley 1997, p.3). The term 'usees' is usefully descriptive of such once-removed stakeholders (Clarke 1992, Fischer-Huebner & Lindskog 2001, Baumer 2015). IT aApplications that have 'usee stakeholders' include credit bureau operations, shared databases about tenants and claimants on insurance policies, and intelligence systems operated by law enforcement agencies and private investigators. Further examples of 'usees' include employees' dependants, local communities and the local physical environment, and, in the case of highly impactful IT, regional economies and natural ecologies. Some AI projects may involve only a single major stakeholder group, such as employees. In many contexts, on the other hand, multiple stakeholders need to be recognised. For example, driverless vehicles affect not just passengers, but also occupants of other vehicles and pedestrians. The individuals in occupations whose existence is threatened by the new approach (e.g. taxi-, courier- and truck-drivers) expect to have a voice. So do their employers, and their unions, and those organisations may have sufficient influence to force their way into a place at the negotiation table. In the case of neural networking models, credit consumers, health insurance clients and welfare recipients may be so incensed by AI-derived discrimination against them that public pressure may force multi-stakeholder approaches onto lenders, health insurers and even welfare agencies - if only through politicians nervous about their electability. In the case of implanted medical devices, not only the patients, but also the various health care professions and health insurers have a stake in AI initiatives. In the face of such complexitiesy, how can an organisation effectively, but also efficiently, act responsibly in relation to AI projects? There are well-established techniques for conducting stakeholder analysis (Clarkson 1995, Mitchell et al. 1997, Fletcher et al. 2003). There are also many commercially-published guidance documents. A natural tendency exists to focus on those entities that have sufficient market or institutional power to significantly affect the success of the project. On the other hand, in a world of social media and rapid and deep mood-swings, it is advisable to not overlook the nominally less powerful stakeholders. Where large numbers of individuals are involved (typically, employees, consumers and the general public), it will generally be practical to use representative and advocacy organisations as intermediaries, to speak on behalf of the categories or segments of individuals. No term such as 'public risk assessment' appears to have become mainstream, but the concept of 'impact assessment' has. The earliest context was environmentral impacts. Techniques more directly relevant to AI include the longstanding idea of 'technology assessment' (OTA 1977), the little-developed field of social impact assessment (Becker & Vanclay 2003), and the currently very active technique of 'privacy impact assessment' (Clarke 2009, Wright & De Hert 2012). For an example of impact assessment applied to the specific category of person-carrier robots, see Villaronga & Roig (2017). Such assessments could be conducted by the stakeholders independently, and fed into the organisation. However, the asymmetry of information, resources and power, and the degree of difference in world-views among stakeholder groups, may be so pronounced that the results of such independent activities may be difficult to assimilate and to integrate into the organisation's ways of working. OThe organisations may therefore prefer find it advantageous to drive the studies and engage directly with the relevant parties. This can enables the organisation to gain sufficiently deep understanding, and to be able to reflect stakeholders' needs in the project design criteria and features - and to do so without enormous cost to the organisation, and with the minimum harm to its own interests. Medical implants may provide good exemplars of multi-stakeholder risk assessment and management. These involve manufacturers undertaking carefully-designed pilot studies, with active participation by multiple health care professionals, patients, and patient advocacy organisations (ISO 2011). The risk assessment process outlined in Table 1 requires adaptation in order to reflect the broader set of interests under consideration. Table 3 depicts a possible approach. This section has suggested customisation of existing, generic techniques in order to deal with the substantial impacts of AI-based systems. The following section considers more closely the the specific requirements that need to be satisfied by multi-stakeholder risk management strategies, designs and plans. The conduct of risk assessment from the perspectives of stakeholders depends on the analyst being attuned to those stakeholders' perspectives, interests and needs. This involves understanding and using a quite different vocabulary from that relevant to organisational risk assessment. In addition to those, already-substantial challenges, AI is a special case - arguably the most advanced, the most complex, the most mysterious, and the most threatening of all of the leaps forward that IT has gifted and imposed on the public during the 80 years since World War II stimulated invention, innovation and investment in computing. Despite the frequent periods of public concern about IT, and despite the steady accretion of threats, the formulations of human rights that were negotiated during the post-War period have not yet been revised. So there is no ready-made body of norms, aspirational statements or expressions of moral rights on which risk analysts can depend. There are, however, some sources of guidance. The bold claims of AI's proponents have generated counter-statements by academics and advocates for the interests of the public. Professional bodies in the IT arena have recently recognised that adaptation and articulation of their Codes of Ethics are long overdue, and have begun programs that are slowly moving beyond discussions and towards the expression of principles. Government bodies and supra-governmental associations have conducted studies. Corporations and industry associations have responded to these developments by uttering warm words of semi-commitment. Raw material exists. This section presents a set of Principles for Responsible AI. Its purpose is to provide organisations and individual practitioners with guidance as to how they can fulfil their responsibilities in relation to AI technology and AI-based artefacts and systems. The Principles presented herey are a natural fit to the needs of multi-stakeholder risk assessment and management, in particular to Activities 1.4-1.6 in Table 3, which involve the identification of assets, their value, and relevant threats, vulnerabilities and safeguards as proposed in the previous section, but they are applicable in other contexts, such as social and privacy impact assessment. The following sub-section outlines the process whereby the Principles were drafted, and identifies the kinds of the sources that were used. The main body of the section explains their nature of the Principles, presents their abstract expression ('The 10 Principles'Themes'), and provides access to their more detailed expression ('The 50 Principles'). The final sub-section contains some meta-discussion about them. Principles. The process of developing the set of Principles commenced with the postulation of Tthemes. This was based on prior reading in the the fields of ethics in IT and AI, the analysis reported in the prior article in the present series, including the articulation of threats in s.4 of that article, and preliminary reading of many documents on possible safeguards. Previously-published sets of principles were then catalogued and inspected. Diversity of perspective was actively sought, through searches in academic, professional and policy literatures. A total of 26 30 sources wereas identified and assessed. These were published variously byd, from governmental organisations (97), corporations and industry associations (7), non-government organisations (6), academics (4), corporations and industry associations (5), professional joint associations (2) and, professional joint associations (2), and academics (4). Of the 30 source-documents, 8 are formulations of 'ethical principles and IT' (extracts and citations at Clarke 2018b), and 22 focus on AI specifically (Clarke 2019). All Of the significant documents that came to light, almost all were utilised, with a. Ann exception in the area of human rights, where was the inclusion of only one human rights document, the International Covenant on Civil and Political Rights (ICCPR 1966) was included, but not the exclusion of other related treaties, regarding, for example, social and economic rights, and the rights of children, the disabled, refugees and older persons. An academic contribution that was omitted is Floridi et al. (2018). This mentions many possible principles, but its focus is processes whereby principles might be put into effect. Only sets that were available in the English language were used, resulting in a strong bias within the suite towards documents that originated in countries whose primary language(s) is or include English. The scope was nonetheless broad, in geographical terms, 11 from the USA, 9 from Europe, 6 from the Asia-Pacific, and 4 global in nature. In general, only the most recent version of documents available in March 2019 was used, except in the case of the European Commission, whose late 2018 draft and early 2019 final versions Of the individual documents, 8 are formulations of 'ethical principles and IT' (extracts and citations at Clarke 2018b), and 18 focus on AI specifically (Clarke 2018c).were both significant, and which evidence material differences. Detailed propositions within each document were extracted, and allocated to themes, maintaining back-references to the sources. A version containing cross-references is provided as Supplementary Materials. Where items content from source-documents threw doubt on the structure or formulation of the general Tthemes, or on the emergent specific Principles, the schema was adapted in order to sustain coherence and limit the extent to which duplications arise. The later documents were reasonably easily mapped onto the structure that had emerged from the earlier phases of analysis. Decreasing returns to scale suggested that the flex-point had been passed and that little further benefit would be gained from extending the set of source-documents. Some items that appear in source- documents are not reflected in the Principles. For example, 'human dignity' and 'justice' are vague abstractions that need to be unpacked into more specific concepts. In addition, some proposals fall outside the scope of the present work. The items that have been excluded from the set are available as Supplementary Materials. A similar approach to that described in this section was adopted by a research report, Zeng et al. (2019), which was published during the later stages of the preparation of the present article. Reviews of the contents of the Zeng article and the source-documents that those authors analysed did not suggest the need for any re-framing or re-phrasing of the 10 Themes or the 50 Principles. In the previous article in thise series, in s.4.5 and Table 2, distinctions were drawn among the successive phases of the supply-chain, which in turn produce AI technology, AI-based artefacts, AI-based systems, deployments of them, and applications of them. In each case, the relevant category of entity was identified that bears responsibility for negative impacts arising from AI. However, within the 26 30 sets of principles that were examined, only a few mentioned distinctions among entity-types, and in most cases it has to be interpolated which part of the supply-chain the document is intended to address. For example, the European Parliament (CLA-EP 2016) refers to "design, implementation, dissemination and use", IEEE (2017) to "Manufacturers / operators / owners", GEFA (2016) to "manufacturers, programmers or operators", FLI (2017) to researchers, designers, developers and builders, and ACM (2017) to "Owners, designers, builders, users, and other stakeholders". Remarkably, however, in all of these cases the distinctions were only made within a single pPrinciple rather than being applied to the set as a whole. Some further observations about the nature of the Principles are offered in the final sub-section. The next section provides a brief preamble, presents the abstract set of 10 Themes, and provides access to the detailed set of 50 Principles. A version of the 50 Principles that includes cross-references to the specific elements of each source-document is provided as Supplementary Materials. The status of the Principles enunciated here is important to appreciate. The purpose is to provide practical suggestions for organisations that are seeking to deal with AI responsibly, in particular by means of multi-stakeholder risk assessment and risk management. Each Theme and each Principle has been expressed in imperative mode, i.e. in the form of an instruction. This approach was adopted in order to convey that their purpose is to guide actions. They are not merely desirable characteristics, factors to be considered, or issues to be debated - although they can be used for those purposes as well. The Principles represent guidance as to the expectations of stakeholders, but also of competitors, oversight agencies, regulatory agencies and courts. AI is a cluster of potentially powerful technologies and AI-based artefacts and systems may be applied within complex social contexts. The Principles are therefore not a recipe, but guidelines that require intelligent application. The Principles are not expressions of law - although in some jurisdictions, in some circumstances, some of them are legal requirements, and more may become so. They are expressions of moral obligations; but no authority exists that can impose such obligations. In addition, all of the Principles are contestable, and in different circumstances any of them may be in conflict with other legal or moral obligations, and with various other interests of various stakeholders. It is necessary to identify the need for trade-offs among interests and obligations, and to select appropriate balances. In Table 4, the 10 Tthemes are declaredstated, and some brief text is explanations are provided that is intended towhose purpose is provide orientation orient the reader to the nature and intent of eachthe PrincipleTheme. It is recommended that readers first familiarise themselves with this Table. This should ease the task of considering the detailed requirementsstatements, which are in the AAppendix 1 to this article: The 50 Principles. research, invention, innovation, dissemination and application. AI offers prospects of considerable benefits and disbenefits. All entities involved in creating and applying AI have obligations to assess its short-term impacts and longer-term implications, to demonstrate the achievability of the postulated benefits, to be proactive in relation to disbenefits, and to involve stakeholders in the process. Considerable public disquiet exists in relation to the replacement of human decision-making with by inhumane decision-making by AI-based artefacts and systems, and displacement of human workers by AI-based artefacts and systems. Considerable public disquiet exists in relation to the prospect of humans being subject to obscure AI-based processes, and ceding power to AI-based artefacts and systems. All entities involved in creating and applying AI have obligations to provide safeguards for all human stakeholders, whether as users of AI-based artefacts and systems, or as usees affected by them, and to contribute to human stakeholders' wellbeing. All entities involved in creating and applying AI have obligations to avoid, prevent and mitigate negative impacts on individuals, and to promote the interests of individuals. All entities have obligations in relation to due process and procedural fairness. These obligations can only be fulfilled if all entities involved in creating and applying AI ensure that humanly-understandable explanations are available to the people affected by AI-based inferences, decisions and actions. All entities involved in creating and applying AI have obligations in relation to the quality of business processes, products and outcomes. All entities involved in creating and applying AI have obligations to ensure resistance to malfunctions (robustness) and recoverability when malfunctions occur (resilience), commensurate with the significance of the benefits, the data's sensitivity, and the potential for harm. All entities involved in creating and applying AI have obligations in relation to due process and procedural fairness. These obligations can only be fulfilled if eachinclude the entity ensuring that it is discoverable entity is discoverable, and each entity addressinges problems as they arise. All entities involved in creating and applying AI haveEach entity's obligations in relation to due process and procedural fairness. These obligations can only be fulfilled if include the the entity implementation ofs systematic problem-handling processes, and respects for and compliancees with external problem-handling processes. This sub-section contains a meta-discussion about several important aspects of the Principles. One such aspect is that they have been expressed in imperative mode, i.e. in the form of instructions. This is in order to convey that they require action, rather than being merely desirable characteristics, or factors to be considered, or issues to be debated. Another considerationA first consideration is whether the Principles address the threats that were articulated in s.4 of the previous article in the series. In each case, this is achieved by means of a web of interlocking Principles. In particular, Aautonomy is addressed in 2.1, 2.2, 3.1 and 3.2; Ddata Qquality in 3.3, 6.2, 7.2 and 7.3; Pprocess Qquality in 1.3, 6.2, 7.6, 7.7, 7.8 and 7.9; Ttransparency in 2.1, 3.5, 6.1, 6.2, 6.3, 8.3 and 10.2; and Aaccountability in 1.6, 1.7, 1.8, 3.1, 3.2, 3.3, 9.1, 9.2, 10.1 and 10.2. Some commonalities exist across some of the source documents. Overall, however, the main impression is of sparseness, with remarkably limited consensus, particularly given that more than 60 years have passed since AI was first heralded. For example, only 1 document encompassesd cyborgisation (GEFA 2016); and only 2 documents referred to the precautionary principle (CLA-EP 2016, GEFA 2016). An analysis was conducted of the extent to which each source-document addresses the 50 Principles that arose from the complete set. the documents' coverage of the Principles. The analysis scored documents liberally, recognising them as delivering on a Principle if the idea was in some way evident, even if only some of the Principle as a whole was addressed, and irrespective of the strength of the prescription. Even then, on average, each of the 50 Principles was reflected in only 5 of the 26 documents; and each of the 26 30 documents reflected on average only 109 of the 50 Principles. Moreover, the highest only 3 source-documents achieved moderately high scores w- 46% foras Marx (1998), 58% for a mere 2EC (2018) and 74% for EC (2019). Apart from these three outliers, the 8/50 (56%) - for the most recent document, which was the European Commission's Draft Ethics Guidelines for Trustworthy AI (EC 2018). mean was a very low 17%, range 8%-34%. When assessed from the other direction, each of the 50 Principles was reflected in only 6 of the 30 documents (20%). Each of the sources naturally reflects the express, implicit and subliminal purposes of the drafters and the organisations on whose behalf they were composed. Among the sets of principles published by public interest organisations, the 4 academics achieved an average score of 23%, the 6 non-government organisations 23%, and the 9 government organisations 25%. In some cases, for example, the set primarily addresses just one form of AI, such as robotics or machine-learning. On the other hand, the dDocuments prepared by corporations, industry associations, joint associations and even professional associations tended to adopt the perspective of producer roles, with the interests of other stakeholders often relegated to a secondary consideration. The mean score for the 11 corporations, industry associations, joint associations of IT suppliers and users, and professional associations was barely half of that of the public interest organisations, at 13% (range 4%-14% with two outliers at 22%, which were FLI (2017) and Sony (2019). An example of the narrow approaches adopted by private sector organisations to date is For example,that the joint-association Future Life Institute perceives the need for "constructive and healthy exchange between AI researchers and policy-makers", but not for any participation by stakeholders themselves (FLI 2017 at 3). As a result, transparency is constrained to a small sub-set of circumstances (at 6), the degree of 'responsibility' of 'designers and builders' is limited to those roles being mere 'stakeholders in moral implications' (at 9), alignment with human values is seen as being necessary only in respect of "highly autonomous AI systems" (at 10, emphasis added), and "strict safety and control measures" are limited to a small sub-set of AI systems (at 22). The authors of ITIC (2017) consider that many responsibilities lie elsewhere, and responsibilities are assigned to its members only in respect of safety, controllability and data quality. ACM (2017) is expressed in weak language (should be aware of, should encourage, are encouraged) and regards decision opaqueness as being acceptable. , while IEEE (2017) suggests a range of important tasks for other parties (standards-setters, regulators, legislatures, courts), and phrases other suggestions in the passive voice, with the result that few obligations are clearly identified as falling on engineering professionals and the organisations that employ them. The House of Lords report (HOL 2018) might have been expected to adopt a societal or multi-stakeholder approach, yet it appears to have adopted the perspective of the AI industry. Some Some of the Principles require somewhat different application interpretation in each phase of the AI supply-chain. An important example of this is the manner in which Principle Theme 7 - Deliver Transparency and Auditability - is intended to be interpretedapplied. In the Research and Invention phases of the technological life-cycle, compliance with Principle Theme 7 requires understanding by inventors and innovators of the AI technology, and explicability to developers and users of AI-based artefacts and systems. During the Innovation and Dissemination phases, the need is for understandability and manageability by developers and users of AI-based systems and applications, and explicability to affected stakeholders. In the Application phase, the emphasis shifts to understandability by affected stakeholders of inferences, decisions and actions arising from at least the AI elements within AI-based systems and applications. Some of the source-documents primarily address just one form of AI, such as robotics or machine-learning. Thehe consolidated Principles, however, are were intentionally framedd and phrasedd in a reasonably general manner, in an endeavour to achieve applicability to at least the AI technologies discussed in the first article in the series - robotics, particularly remote-controlled and self-driving vehicles; cyborgs who incorporate computational capabilities; rule-based expert systems; and AI/ML/neural-networking applications. More broadly, the intention is that the Principles be applicable to what I proposed in the first article in the series as more appropriate conceptualisations of the field - Complementary Artefact Intelligence, and Intellectics. The abstract Principles are capable of being further articulated into much more specific guidance in respect of each particular AI technology. For example, in a companion project, I have proposed 'Guidelines for Responsible Data Analytics' (Clarke 2018a). These provide more detailed guidance for the conduct of all forms of data analytics projects, including those that apply AI/ML/neural-networking approaches. The 50 Principles can also be customised to the needs of organisations operating in particular roles within the AI industry supply-chain, identified in Table 2 of the previous article as Researchers, R&D Engineers, Developers, Purveyors, and User Organisations and Individuals.Areas addressed by the Data Analytics guidelines include governance, expertise and compliance considerations, multiple aspects of data acquisition and data quality, the suitability of both the data and the analytical techniques applied to it, and factors involved in the use of inferences drawn from the analysis. AI technologies emerge from research laboratories offering potential, but harbouring considerable threats to both organisations and their stakeholders. The first article in this series examined why there is public demand for controls over AI, and argued that organisations need to adopt, and to demonstrate publicly that they have adopted, responsible approaches to AI. This article has formulated guidance for organisations, in both the private and public sectors, whereby they can evaluate the appropriateness of AI technologies to their own operations. Ethical analysis does not deliver what organisations need. Adapted forms of risk assessment and risk management processes have been proposed to meet the requirements. A set of 50 Principles for Responsible AI has been presented, based onderived from over two dozen30 documents from diverse sources. I believe that tThese Principles are suitable for applicationcapable of being applied by executives, managers and professionals, as they stand. They can also be used as a basis for customising Principles for specific AI technologies, for particular categories of AI artefacts, systems and applications, and for organisations operating in various parts of the AI industry supply-chain. Once products have been developed and deployed, the Principles provide a reference-pointThey can also be used as a basis for reviews by internal and external auditors. The Principlesy are appropriate as a template for the expression of a measuring stick for the evaluation of proposals for organisational procedures, or industry codes, and or indeed legislation; , or as a measuring stick for the evaluation of proposals for stemplate for the expression of such documents. As indicated above, the source-document that is far more comprehensive than any other published to date is the European Commission's 'Ethics Guidelines for Trustworthy AI' (EC 2019), which was published shortly before finalisation of this article. It is understood that the OECD will also publish a set of AI Principles in the near future, which is also likely to score moderately well against the template presented in this article. It is noteworthy, however, that the EC's 2019 Guidelines still only achieve a score of 74%. The 50 Principles, being a consolidation of a significant population of source-documents, represents the most comprehensive available guidance.Further, the Principles can be articulated into more specific expressions that are directly relevant to particular categories of technology, artefacts, systems and applications. This second article in the series has as its focus what organisations can do in order to develop and apply AI responsibly. The third article in this series considers how policy-makers can structure a regulatory regime to ensure that, whether or not individual organisations approach AI in a responsible manner, important public interests can nonetheless be protected. The following Principles apply to each entity responsible for each phase of AI research, invention, innovation, dissemination and application. This paper has benefited from feedback from multiple colleagues, and particularly Peter Leonard of Data Synergies, and Prof. Graham Greenleaf and Kayleen Manwaring of UNSW, and Prof. Tom Gedeon of ANU. The comments of an anonymous referee were also helpful in ensuring clarification of key elements of the argument.